I’m posting a summary of the solution found by the developer team at Boole & Partners in conjunction with Sandis, thank you to all for resolving. 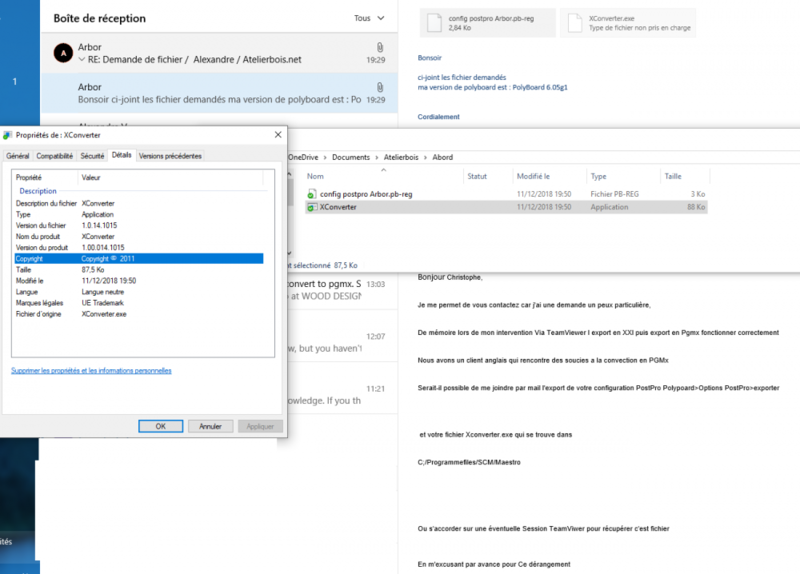 Following a number of tests both within and external to Polyboard, the key issue related to the length of the file path to the conversion location. The recommendation was to rename the *.TLGX tool file to a much shorter name (ideally 3 characters), then to enter this new file name in the “Tools” section of Polyboard’s post processor. 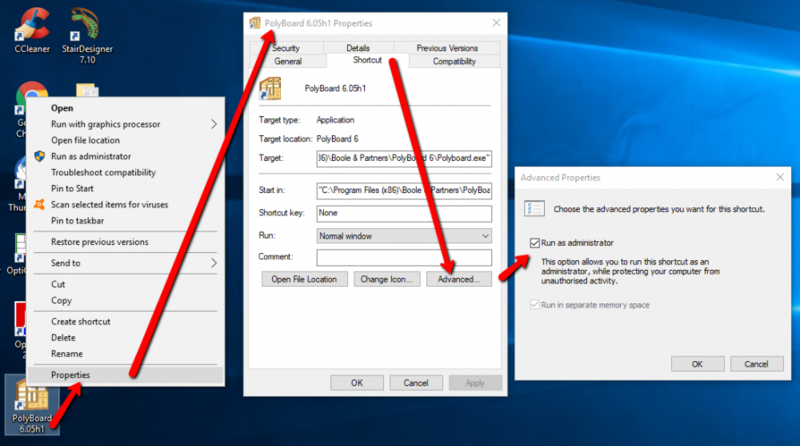 In this case, and we believe due the Maestro configuration, it was also necessary for Polyboard to be opened using the ‘Run as Administrator’ facility. 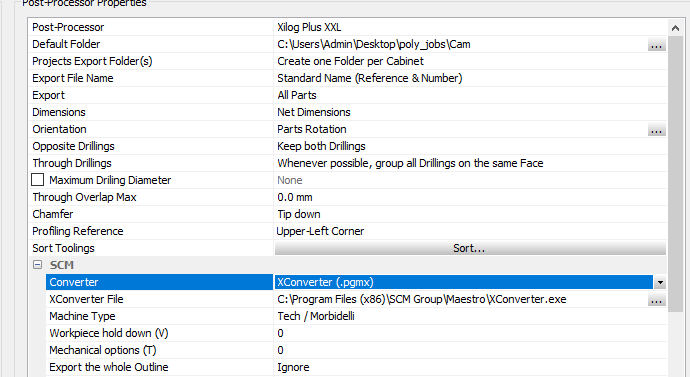 We have clients working with xconverter to directly process pgmx files. I’ll wait for their reply to see if I forgot a configuration! Basically they told me, that they are not sure how others got it working. He told that XConverter is not supposed to open like WinXIso converter. As that`s the way how they protect they software from 3rd parties. So now i wonder you others have managed to set up XConverter to create pgmx, as it clearly says on website – ”Xilog Maestro files also available on request (set up for the .pgmx XConverter).” Also Ness pointed out on other my question on forum that PB6 can export(convert to) pgmx. So any other ideas/workaround how to set it up? That’s also what I thought since my 2nd reply to your question. I’ve tried doing this myself but my Maestro installation was blocked asking for a license number. have you set tools files to “DEF.TLGX” ? We have two CNC machines, so have renamed tool files accordingly. Just to make sure – i did try def.tlgx and it did not work. By the way – if i set Polyboard to convert files to pgm with WinXiso – it works fine – pgm files are created. So it is just XConverter. Will let you know what they will say. So, any ideas how to get it working? can you try to set machine type to maestro morbidel into post pro setup? Still same – only xxl files are created. I assume that pgmx would be in same folder as xxl files, right? Nop, it didn`t work unfortunately. On PP report shows only xxl files, and in folder too there are only XXL and report. if you have xxl files issue comes from Xconvert. in exports folder have you got .xxl files? Hi Alex. Yes – xxl files are created, just no pgmx. As per topic – cant get Xconverter to convert XXL automatically to pgmx. Have set it to use XConverter and proper path to it. Do i need to convert files manually or it should be automatic when posted with post processor? Also can`t find any info or explanation for post processor settings. Maybe somebody have something lying around?